Which Amazon Prime Subscription Is Right for You? Most people don’t know that Amazon Video has been around for nearly a decade. It debuted in 2006 as Amazon Unbox, then switched names to Amazon Video on Demand in 2008, eventually settling on its current name of Amazon Video or Amazon Prime Instant Video. For all those years, Amazon Video was only available as a package deal with Amazon Prime. However, now Amazon is offering three different subscription plans Facebook Meddles in Politics, Pay Monthly for Amazon Prime... [Tech News Digest] Facebook Meddles in Politics, Pay Monthly for Amazon Prime... [Tech News Digest] Facebook could change the face of politics, Amazon launches monthly Prime option, Apple gives iPhones three years, Microsoft's Captionbot is crap at identifying photos, and a Fallout game arrives on YouTube. Read More so you can pick the one that best suits your needs. If you have ever wondered whether Amazon Prime is truly worth it Is Amazon Prime A Good Deal? Is Amazon Prime A Good Deal? Amazon Prime seems like a great deal, but is it? We dig into the benefits to figure out if they're worth the $99 per year. Read More , rest assured that it absolutely is. But if you have no desire to pay for the entirety of Amazon Prime’s feature set, or if you don’t want to pay for a full year in advance, then here are some alternate plans for you to consider. The new Prime Video Plan is one of the most exciting Amazon developments to happen in the past few years — not because it offers anything new, but because it highlights how serious Amazon is about its Instant Video offering, which is surely a good thing for cord-cutters Considering Canceling Cable? 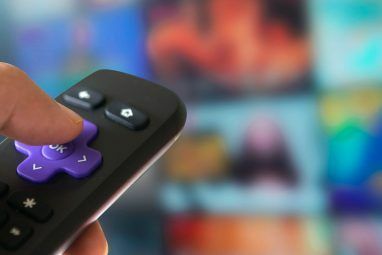 The True Cost of Cutting the Cord Considering Canceling Cable? The True Cost of Cutting the Cord When you add everything up, do you really save money by cutting the cord? We do the math involved with cancelling cable in favor of Internet services. Read More . What you get with this plan: For $8.99 per month, you get access to Amazon’s entire digital streaming library, complete with TV shows and movies in HD, Ultra HD, and HDR (as the technology becomes available HDR TV: What It Is & Why You'll Need It in 2016 HDR TV: What It Is & Why You'll Need It in 2016 High Dynamic Range, or HDR, is shaping up to be the big TV buzzword for 2016. But what is it? Will it live up to the hype? Here's all you need to know. Read More ). The thing about this subscription plan that’s turning heads is the fact that it’s actually cheaper than Netflix’s standard plan, which costs $9.99 per month. It’s also cheaper than Hulu’s no-commercial plan, which costs $11.99 per month. Compared directly on price, Prime Video clearly wins. But is it worth said price? That’s a bit harder to answer because it really depends on what you want to watch, how you want to watch, and how often you plan on watching. In terms of library selection, Amazon offers a lot of exclusive and original content worth viewing 10+ TV Shows That Make Amazon Prime Worth the Money 10+ TV Shows That Make Amazon Prime Worth the Money Netflix is undoubtedly the king of the movie and TV show streaming services. However, Amazon Prime has some fantastic television shows that make it worth the asking price. Read More , such as Bosch and The Man in the High Castle. 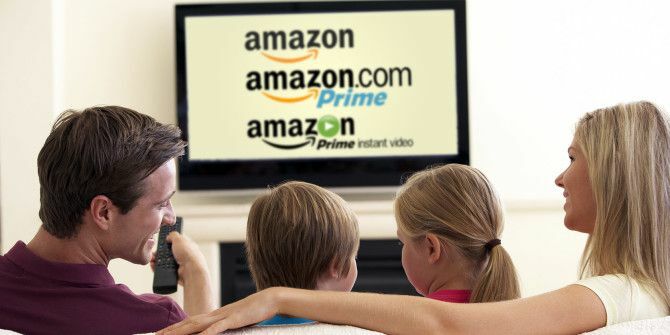 Prime Video can be streamed on many devices as well, including Roku boxes, smart TVs, Android, iOS, Kindle Fire, Xbox, and PlayStation. But the real benefit to this particular plan is that you pay for it from month-to-month. Instead of dropping a huge chunk of money on an annual Prime plan — which we cover below — you can watch everything you want for a month, then cancel, then tune in again next year when new stuff is available. When done this way, it’s very affordable. And if Prime Video’s selection isn’t enough for you, Amazon allows you to add additional third-party channel subscriptions How to Add Video Subscriptions to Your Amazon Prime Account How to Add Video Subscriptions to Your Amazon Prime Account Amazon Prime members in the U.S. can now subscribe to premium channels to view even more TV shows through Amazon Video. In this article, we explain how to do so in simple terms. Read More to boost the amount of content you can watch. At around $9-per-month-per-channel, however, this can quickly turn into an expensive endeavor. The other exciting addition to Amazon’s arsenal is the ability to subscribe to Prime on a monthly basis. Up until now, if you wanted to take advantage of all the amazing benefits of Prime 10 Awesome Amazon Prime Benefits You May Have Overlooked 10 Awesome Amazon Prime Benefits You May Have Overlooked Free two-day shipping is just the beginning. Here are some notable Amazon Prime subscription benefits you may not know about. Read More , your only option was to invest $99 up front and hope that it paid off over the next year. 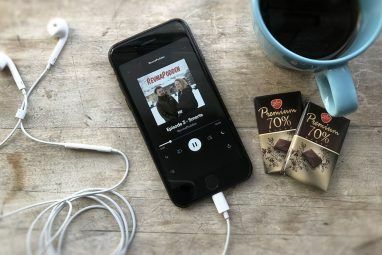 What you get with this plan: For $10.99-per-month (or $99-per-year), you get access to every Prime feature, including free two-day shipping, the Kindle Owners’ Lending Library (free eBook borrowing), Prime Photos (unlimited photo storage), Prime Video (unlimited streaming), and Prime Music, which actually (isn’t as bad as you think it is Why You Should Give Amazon Prime Music a Second Chance Why You Should Give Amazon Prime Music a Second Chance There are several reasons why you might want to give Amazon Prime Music a second chance. It certainly deserves much more credit than it's currently getting. Read on to find out why. Read More ). In other words, for just $2 more per month, you get everything in the Prime Video plan plus a whole lot more. This represents massive value — so massive that if you’re considering the Prime Video plan but also want even just one feature from the Prime set, then you should probably go with the full Prime plan over the Prime Video plan. Which leads us to another question: Why would anyone opt for the monthly plan? Astute readers will note that one year’s worth of Prime at the monthly price comes out to $132, whereas Prime normally costs $99 for the year. It seems pretty clear cut, right? Well, not quite. If you’re actively avoiding online shopping Buck the Trend: 5 Tips to Avoid Shopping Impulsively Online Buck the Trend: 5 Tips to Avoid Shopping Impulsively Online Are you an impulsive shopper? Do you throw away money on items you don’t really want or need? Here are some tips and tricks to help you regain control. Read More , then you probably don’t want an entire year’s worth of Prime — which is also true for those who only shop on Amazon during the holiday season. Or, similarly, if you just moved into a new house and you know you’re going to be ordering a lot of replacement supplies over the next month or two, then it makes sense to get Prime for only those months. The monthly plan works out well for these high-density shopping scenarios. However, if you know that you’re going to take advantage of the full Prime feature set and you’ve decided to commit to the Amazon ecosystem, then it’s a no-brainer: the annual plan is absolutely the best deal Netflix vs. Hulu vs. Amazon Prime: Which Should You Choose? Netflix vs. Hulu vs. Amazon Prime: Which Should You Choose? It has been years since we've compared heavy-hitting streaming services, Netflix, Hulu, and Amazon Prime. And with changes in pricing, content, quality, and interface, we thought it was time to revisit the topic. Read More . It comes out to $8.25-per-month, which is even cheaper than the Prime Video only plan! Which Prime Plan Is Right for You? If you can commit an entire year to Amazon, then the annual Prime plan is most certainly the best deal at $8.25-per-month because it’s the cheapest price and grants you ALL of the features. Most users should opt for this plan. If you can cram all of your Amazon activity into one or two months, then opt for the monthly Prime plan. This is particularly ideal for those who plan to do a lot of shopping over the course of a month or two. If you only want Prime Video and can binge-watch everything, the monthly Prime Video plan could make sense. However, it only makes sense if you don’t want any other Prime features like free shipping. Hopefully that helps. However, if you have never streamed video from Amazon before, you should know that some of the problems that currently hinder Netflix 7 Reasons You Should Avoid Subscribing to Netflix 7 Reasons You Should Avoid Subscribing to Netflix Just as there are pitfalls to cutting the cord, there are downsides to Netflix you might consider to be deal-breakers. So before you sign up to Netflix, take a moment to consider these imperfections. Read More also apply to Prime Video. Best to be prepared before you dive into it. How do you feel about Amazon’s new subscription plans? Which one will you be buying? Which of Amazon Prime’s features do you think is the most useful and important? Please share your thoughts with us in the comments below! Explore more about: Amazon, Amazon Prime, Media Streaming. So you guys even tried the channels you recommend? This article is written in 2016 it says. The Spotify plugin appears to been dead for 2 years and jugding the thread it does not seems to work for anyone. Yeah looks like it isn't working. Ah that's too bad. Thanks Ole.